Steve has been voicing commercials for years and has a wealth of experience; he’s been the voice of literally 1000’s of companies over the years. Working on everything from National TV & radio, on-hold announcements, web-site and presentation narration Steve is a versatile, professional (and friendly) voice over, who always gives 110%!!! Check out him demos on-line or call 0161 905 2662 for a CD demo. Check out his demos online or call: 0161 905 2662 for a CD demo. Warm and energetic voice with flexible styles. Good at hard sell, soft sell and characters. Can act and takes direction well. Steve always gives you a performance and never "walks through" a script. 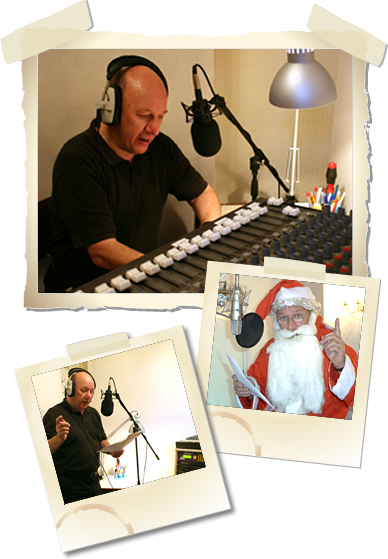 I have also voiced many corporate a/vs and e-learning projects. Dedicated ISDN booth, Prima LT and glass of water to hand!